Facebook announced the acquisition of secure server technology provider PrivateCore Thursday in a post by Chief Security Officer Joe Sullivan, in which Sullivan said PrivateCore’s vCage technology will eventually be incorporated into the social network’s server stack. I’ve seen how much people care about the security of data they entrust to services like Facebook. We finished implementing HTTPS encryption by default over a year ago, and have also been working to secure all data center traffic with additional protections. In that vein, I’m really excited that Facebook has entered into an agreement to acquire PrivateCore. PrivateCore, founded in 2012 and based in Palo Alto, Calif., develops software to validate and secure server data. Its vCage technology protects servers from persistent malware, unauthorized physical access and malicious hardware devices, making it safer to run any application in outsourced, hosted or cloud environments. The team at PrivateCore is also made up of top-notch security veterans with a lot of experience. 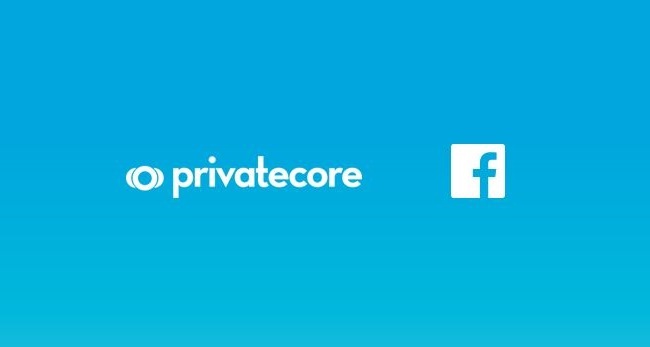 I believe that PrivateCore’s technology and expertise will help support Facebook’s mission to help make the world more open and connected, in a secure and trusted way. Over time, we plan to deploy PrivateCore’s technology directly into the Facebook server stack. I can’t wait to have them join Facebook. Since the beginning, we have worked tirelessly on our technology to protect servers from malware threats, unauthorized physical access and malicious hardware devices. Working together with Facebook, there is a huge opportunity to pursue our joint vision at scale with incredible impact. Over time, Facebook plans to deploy our technology into the Facebook stack to help protect the people who use Facebook. We know we will learn and grow as we continue developing our technology and making it stronger. The PrivateCore team wouldn’t be where we are without our investors who believed in us, and we want to thank everyone who has been a part of this journey with us. The work is just beginning, and we can’t wait to get started. Readers: What are your thoughts on Facebook’s latest acquisition?